Giorgiosite: Mineral information, data and localities. For Giorgios, a volcanic cone on the island of Thera formed in 1866. Compare hydromagnesite (lower hydrate), dypingite (similar), and 'UM1973-06-CO:MgH' (higher hydrate). Natural History Museum, Paris, France. In white powdery crusts on lava. Brucite 2 photos of Giorgiosite associated with Brucite on mindat.org. 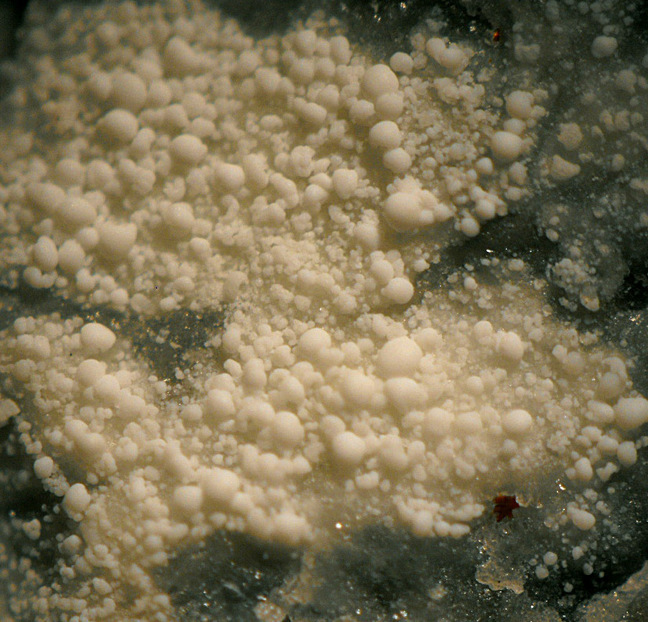 Calcite 1 photo of Giorgiosite associated with Calcite on mindat.org. 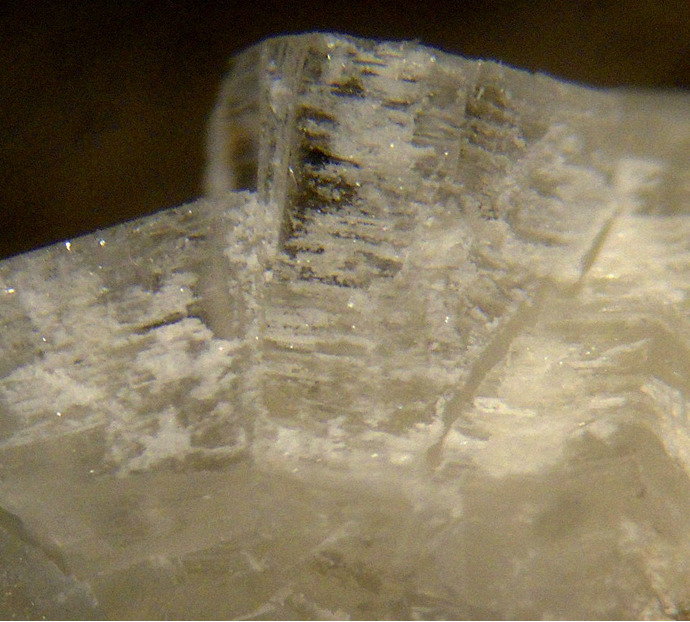 16b.7.2.1 Dypingite Mg5(CO3)4(OH)2 · 5H2O Mon. Fouqué (1879) Santorin e ses éruptions, Paris: 211. Lacroix (1905) Comptes rendu de l’Académie des sciences de Paris: 140: 1308. Zambonini (1922) Neues Jahrbuch für Mineralogie, Geologie und Paleontologie, Heidelberg, Stuttgart: II: 134. Caillère (1943) Bulletin de la Société française de Minéralogie: 66: 54. Palache, C., Berman, H., & Frondel, C. (1951), The System of Mineralogy of James Dwight Dana and Edward Salisbury Dana, Yale University 1837-1892, Volume II: Halides, Nitrates, Borates, Carbonates, Sulfates, Phosphates, Arsenates, Tungstates, Molybdates, Etc. John Wiley and Sons, Inc., New York, 7th edition, revised and enlarged: 274. 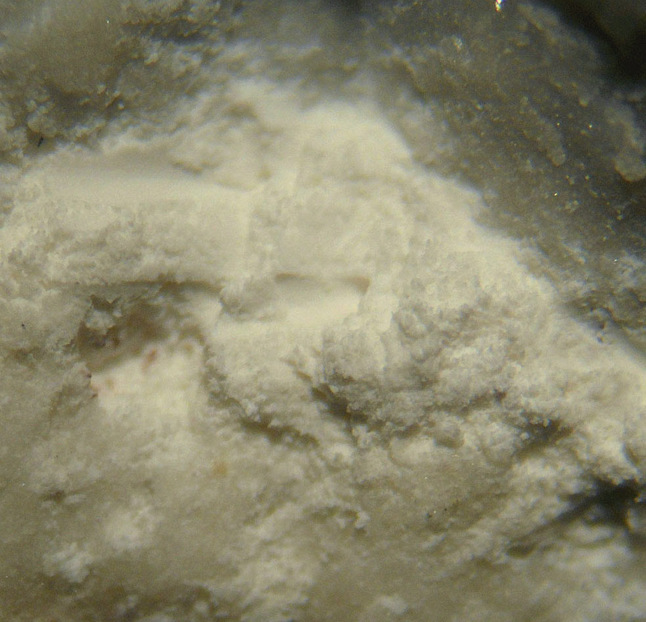 Raade, G. (1970): Dypingite, a new hydrous basic carbonate of magnesium, from Norway. American Mineralogist, 55, 1457-1465. [with comments on giorgiosite]. Friedel, B. (1975): Synthetischer Giorgiosit. Neues Jahrbuch für Mineralogie, Monatshefte, 196–208 (in German with English abs.). Zordan A., Boscardin M. - Aggiornamenti di Mineralogia nel Vicentino. Determinazioni 2006. Studi e Ricerche - Associazione Amici del Museo Civico "G.Zannato", Montecchio Maggiore (Vicenza), 13 (2006), pp. 35-40.